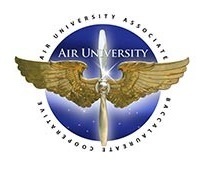 The Air University Associate to Baccalaureate Cooperative (AU-ABC) was developed to allow enlisted Airmen who have earned an Associate of Applied Science degree through the Community College of the Air Force (CCAF) to complete a bachelor's degrees from participating colleges and universities online. As an AU-ABC partner, Indiana Wesleyan University (IWU) allows airmen to transfer in their CCAF degree (64 credit hours) and work towards an approved bachelor’s degree. When transferring in the CCAF degree, the AU-ABC guarantees that the airmen only need to complete a maximum of 60 additional credit hours to obtain a bachelor’s degree. Present official CCAF transcript showing award of CCAF AAS degree, or letter from the Base Education Service Officer stating that all requirements have been completed for the award of the CCAF AAS degree. Complete an online IWU Application.There is no application fee and the process only takes a few minutes. Speak with your IWU Military Program Representative about IWU’s military preferred tuition and the textbook/resources and technology fee voucher available to eligible students. Click on the degree title for much more information about the degree or click on the PPF to view how your CCAF accomplishments transfer into your IWU Bachelor’s Degree. For questions, details and further information about becoming a student at IWU, the admissions process, and the AU-ABC program, please talk with one of the dedicated IWU Military Program Representatives at 1.866.498.4968.